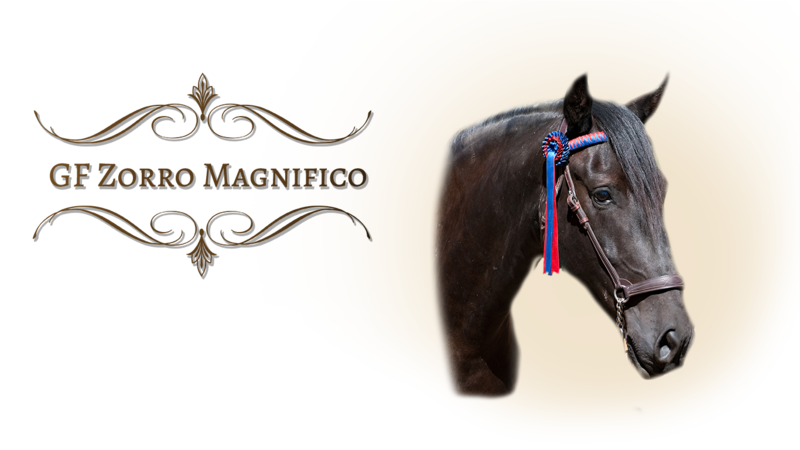 2007 Black Iberian Warmblood Gelding by Multi-National Champion PRE stallion, Kianto (Jackass Mountain Ranch), out of Sienna Diosa R.
Zorro is the image of the classical Dressage Show horse. He is a great combination of both sire and dam in conformation and presence. He has excellent conformation, great bone mass, and wonderful elegant muscle length. His movement is very loose and fluid with wonderful suspension. He has an exceptional walk. Zorro has a very bright and curious mind, is quite social with both people and horses, and engages well in the Natural Horsemanship games we present in his training. He has excellent ground manners, is respectful and very sweet natured. He has a very expressive personality, is energetic and well tuned into the world around him. Zorro continues to gain in confidence as his training progresses. He is flashy to look at, and has tremendous presence in the show ring. In 2009, at two years old, we started Zorro in the long lines. He quickly excelled, becoming sensitive and light, following the feel well. He is great fun at liberty, responding to leadership and instruction well. 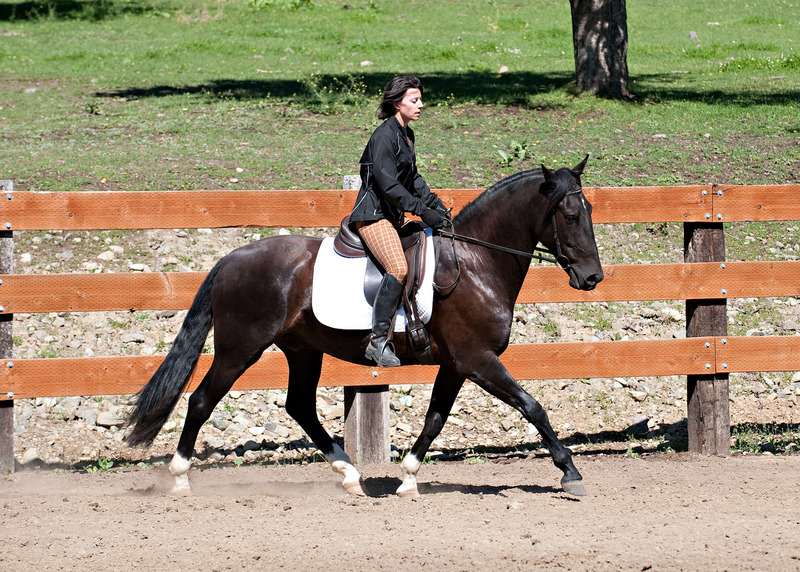 In June of 2010 we began Zorro’s formal training under saddle. He has done very well, impressing us with his ability and attitude. He has three solid gaits, moves straight, and has wonderful lateral ability. He is quickly learning to move forward freely, and is a very willing student. He is very level headed in a variety of situations, and has behaved as a gentleman when taken off the farm. We took Zorro to his first IALHA show in August 2010. He was quiet and calm, riding beautifully in all of his classes. We look forward to watching him excel in his show career. Now at four, Zorro is really beginning to develop his forward motion and natural impulsion. His confidence is building and we are seeing a maturing in him both mentally and physically that is wonderful. Earlier this spring we rode him in two clinics, one with Andre Ganc, in from Brazil. A second with Frank Grelo, a Portuguese classical trainer, here from Canada. We were very impressed with Zorro​'​s work ethic and attitude as well as the progressive development we see in him under saddle.